Herbert Boyer, PhD co-founded Genentech in 1976 and served as a director of the company until its 2008 acquisition by Roche. He also was a vice president of the company from 1976 to 1990. 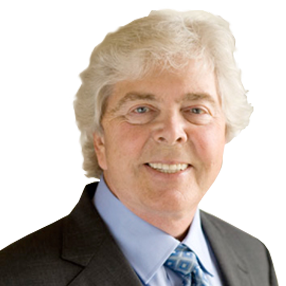 Dr. Boyer also served on the board of Allergan for 19 years, 12 years as vice chairman and three years as chairman. In addition, Dr. Boyer was a professor at the University of California, San Francisco and an investigator for the Howard Hughes Medical Institute (HHMI). He is an elected member of the National Academy of Sciences (NAS) and a fellow in the American Academy of Arts and Sciences (AAAS). Dr. Boyer has received numerous awards for his achievements and include the Albert Lasker Award for Medical Research (1980), Industrial Research Institute Achievement Award (1982), the National Medal of Technology (1989), National Medal of Science (1980), Helmut Horten Research Award (2000), Biotechnology Heritage Award with Robert A. Swanson (2004) Albany Medical Center Prize with Stanley N. Cohen (2004), Shaw Prize in Life Science and Medicine (2005), Winthrop-Sears Medal (2007) Perkin Medal (2009) CSHL Double Helix Medal (2000).